Epson Mobilink TM-P60 - Bluetooth Interface. Includes battery, USB cable, and power supply. 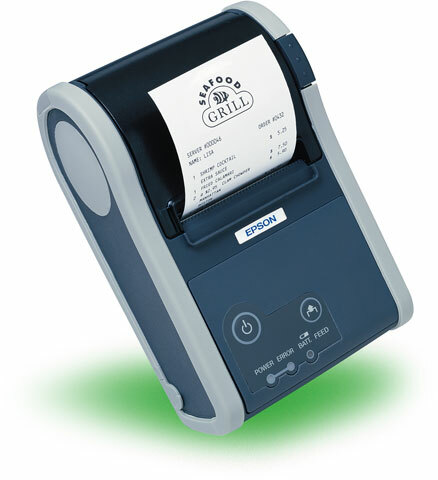 The Epson Mobilink TM-P60 wireless mobile printer is designed to meet the needs of both retail and hospitality for high-speed, mobile, thermal receipt printing. The Mobilink TM-P60 features compatibility with all TM-T88 series applications plus Bluetooth and 802.11b connectivity. Unlike other wireless mobile printers with an average battery life of 2-3 hours, the Mobilink features an industry-leading 10-hour battery life. The Epson C31CC79A9941 is also known as Epson POS Products	EPS-C31CC79A9941	.